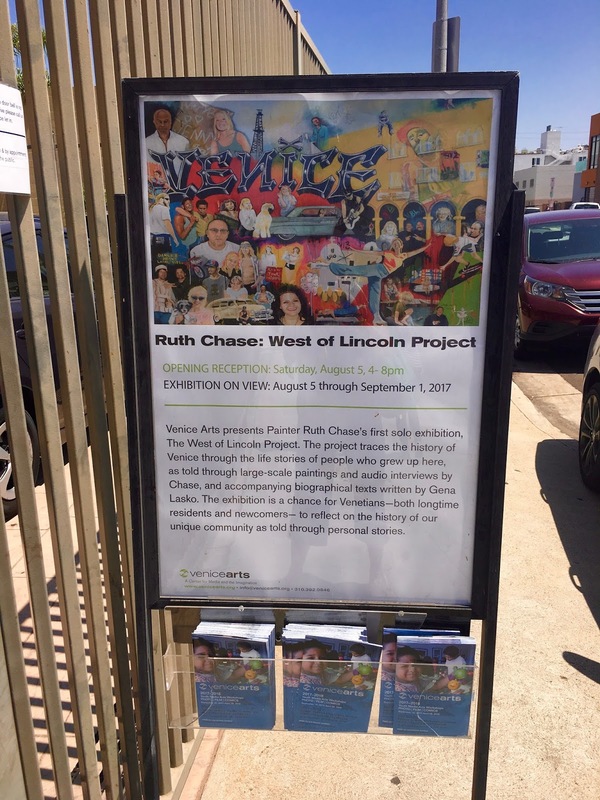 The West of Lincoln Project, the first solo exhibition by Venice born painter Ruth Chase had its opening reception last Saturday at Venice Arts, and I heard it was as big old party. I unfortunately could not attend, as I was working on a television shoot that wrapped for the day well after the opening was over. I was bummed to miss this extra-Venice event, so I headed over there to check out Chase’s art as soon as I could. The West of Lincoln Project has been a lifelong dream come true for Chase, as the paintings portray the citizens of Venice that grew up here, and their stories are of their entire lives growing up here in this diverse community by the sea. The paintings and the stories that accompany them are what makes up the tapestry and history of this beach town so beloved by so many. Familiar Venice faces like Solo Scott are painted in all their youthful glory, showing the fun – and the wisdom – that came from living here in Venice all of one’s life. My Life Depends On It. The portrait Place of Strenth of Gloria Olivas Omar is touching, as it shows her as a young girl at the Festival of the Chariots (which I also had to miss last Sunday), and how that was always her favorite event in Venice. Those memories gave her strength when she was dealing with stage four breast cancer (now in remission), and it’s all there on the bright canvas. In The Deeper We Go, The Brighter We Shine, Elaine Love Leslie is shown, and her story tells of how Venice is her greatest spiritual teacher. I get it. Summer Breeze, Community Love shows “Miss P”, the grandmother of Rhonda Lynn Wise, who showed her family the beauty of Venice when she moved here in 1967. Venice means SO much to generations of families, which is why it’s so painful to see so many longtime residentsbeing moved out of town by what boils down to financial genocide. Seriously. Spirit of the Moment depicts David Fowler on a skateboard (a crucial component to any story about Venice), and the caption that sums it up. “Growing up in Venice is a metaphor for life. On a skate, you fall down and you get back up. In life you take your family with you. They are the ride. They fall, and you help them get back up.” Exactly. That’s Community. That’s what’s at stake here. Leonard Duran is shown with a low-rider vibe that represents the V-13 people of Venice, aptly titled, Never Forget Where You Came From, Always Remember Where You’re Going. Excellent advice. Fernando Manzanilla discusses his sobriety in a story that breaks down his portrait, Not Just Me Anymore. 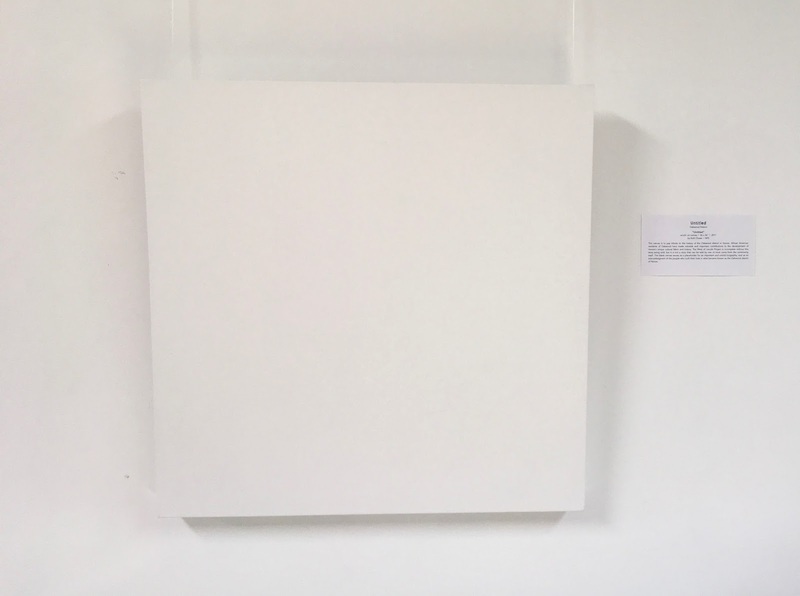 There is much growth shown in every single painting, and growth might very well be the connective theme of the show. Growth, nostalgia, and love for a place and its people. The one that moved me the most was Untitled. This one is for the Oakwood neighborhood, and as Chase wrote in the caption, it’s not for her to portray. It’s for the community itself to embody. I got a lump in my throat, as we all know how much history is being displaced, and this historically African American stronghold is no different. The Venice tags by Ric Clayton are very cool, and very recognizable if you’ve ever cruised around Venice. It’s a style -and a lifestyle. The wonderful show of and for Venice will by on display at Venice Arts through September 1, 2017. It is a must-see for anyone that knows and loves Venice. Congratulations and thanks to Ruth Chase for showing what so many are feeling. Love, concern, and gratitude for Venice, California.